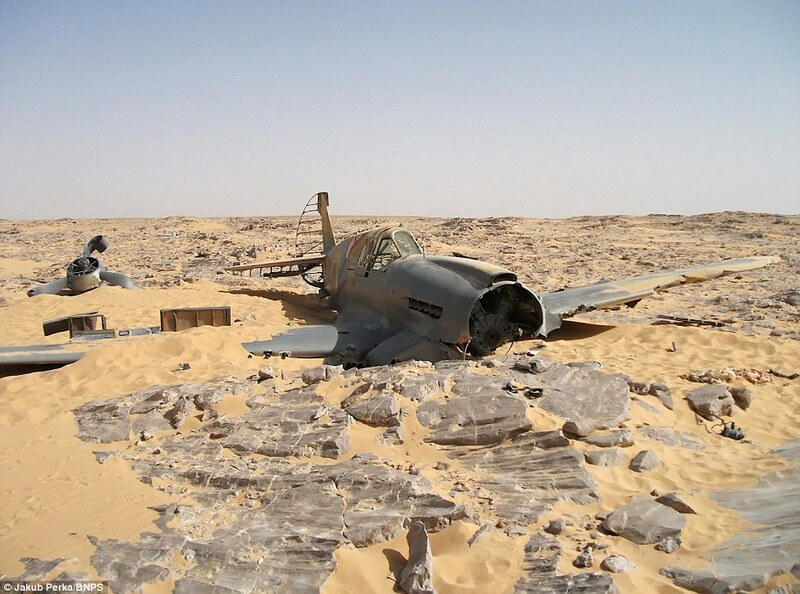 ► EGYPT & LIBYA: More derelict WW2 aircraft discovered in The Sahara. Whilst going through the international press this last week, we at The Tribune came across a piece in the UK's Daily Mail that we found rather interesting. 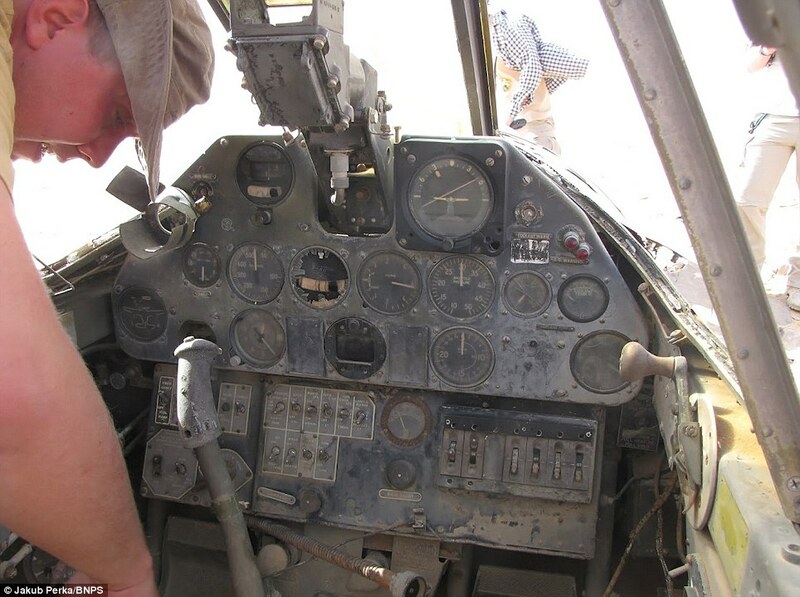 During a prospecting mission for oil in the Western Desert (part of the Sahara) Egypt, a oil worker recently came across a derelict Royal Air Force Kittyhawk P-40, that, given its age and location, was in reasonably good condition. The aircraft itself, flown at the time by Flight Sergeant Dennis Copping, went down in June 1942, during the North African Campaign fought between the legendary "Desert Fox" German General Erwin Rommel and British Field Marshall Bernard Montgomery. It seems Copping was attempting to make his way home, only to lose his bearings, and ultimately, crash land in what is literally, the middle of nowhere. From what has been seen lying around the crash site, he then took what he could salvage from the damaged fighter, and wandered off into the desert, never to be seen again. Since the crash site is about 200 miles from the nearest town and no human remains have been found at the site, its believed that the pilot’s decomposed body may lay anywhere within a 20 mile radius of the aircraft (Copping is not known to have any close living relatives). But this isn't the first time the Sahara has been a repository for abandoned aircraft. 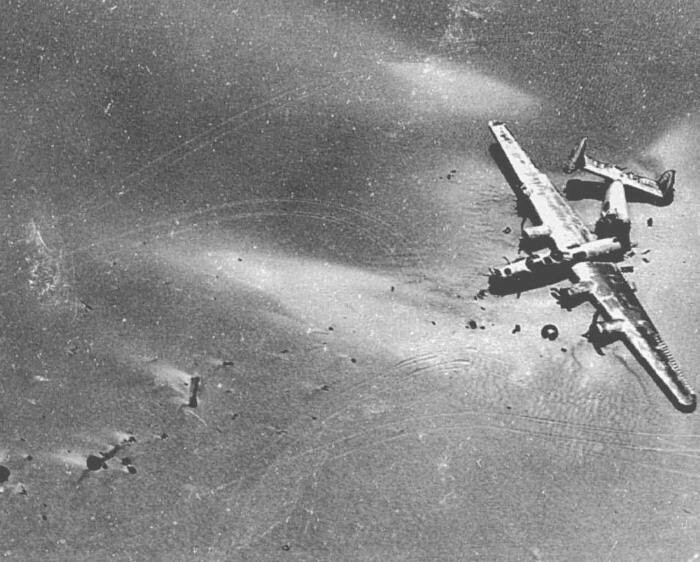 In February 1959, a British Petroleum oil exploration team discovered the nearly intact "Lady Be Good", a USAF American B-24D Liberator, 448 miles southeast of Soluch, again in the untravelled Western Desert. Investigation at the crash site confirmed that the crew had bailed out after exhausting their fuel.after returning from an April 4, 1943 bombing raid on Naples, Italy as part of the 514th Bomb Squadron, 376th Bomb Group. At the time, the plane was assumed to have crashed into the Mediterranean Sea and its nine crew members were classified as Missing in Action. The Lady Be Good apparently overflew its base and did not see flares fired to attract its attention and continued into the interior of North Africa for two more hours. At 2 a.m., the crew parachuted to the ground and the Lady Be Good continued on for 26 km (16 miles) more with no one aboard and crash-landed in the Calanshio Sand Sea of the Libyan Desert. A search and rescue mission from Soluch Air Base to find the missing bomber was unsuccessful and no trace of the crew or aircraft was found. After the crew abandoned the aircraft in mid air, it continued flying southward. The mostly intact wreckage and evidence showing one engine was still operating at the time of impact suggests the aircraft gradually lost altitude in a very shallow descent, reached the flat, open desert floor and landed on its belly. Click to get the book from our Amazon store! Upon rediscovery of the wreckage in 1959, despite the plane being broken into two pieces, it was immaculately preserved, with functioning machine guns, a working radio, and some supplies of food and water. A thermos of tea was found to be drinkable. No human remains were found on board the aircraft, nor were parachutes found. Evidence aboard the plane indicated that the men had bailed out. Records in the log of navigator Lieutenant Hays, who was on his very first combat mission, ended at Naples. No human remains were found at the crash site, but in February 1960, the United States Army conducted a formal search for the remains of the airmen, and five were found. Finding evidence that three other crew members had continued walking northward to seek help, the exploration concluded their bodies were likely buried beneath sand dunes. ►Want to know more about the Lady Be Good? Visit our Book Section on Amazon!